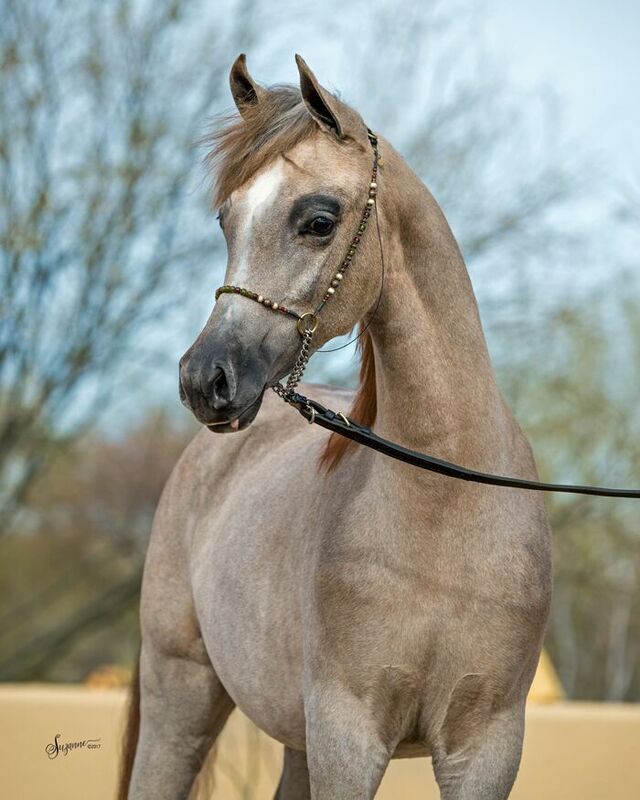 AJS Caspiana’s sire, Elite AF, embodies classic Arabian type and top quality, with champion producing bloodlines. 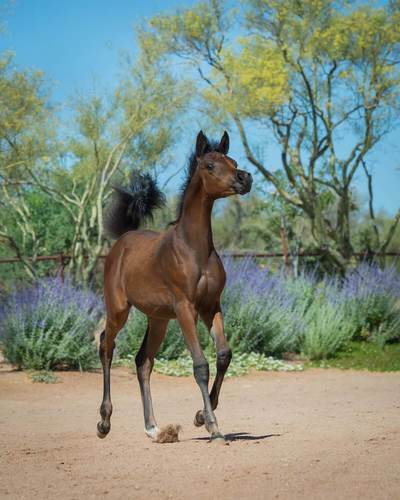 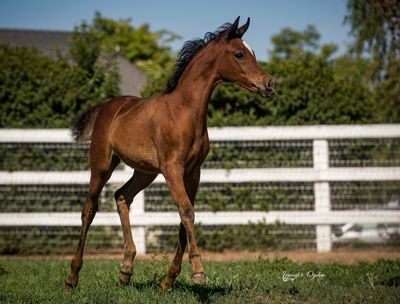 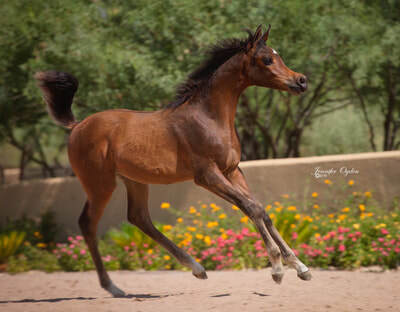 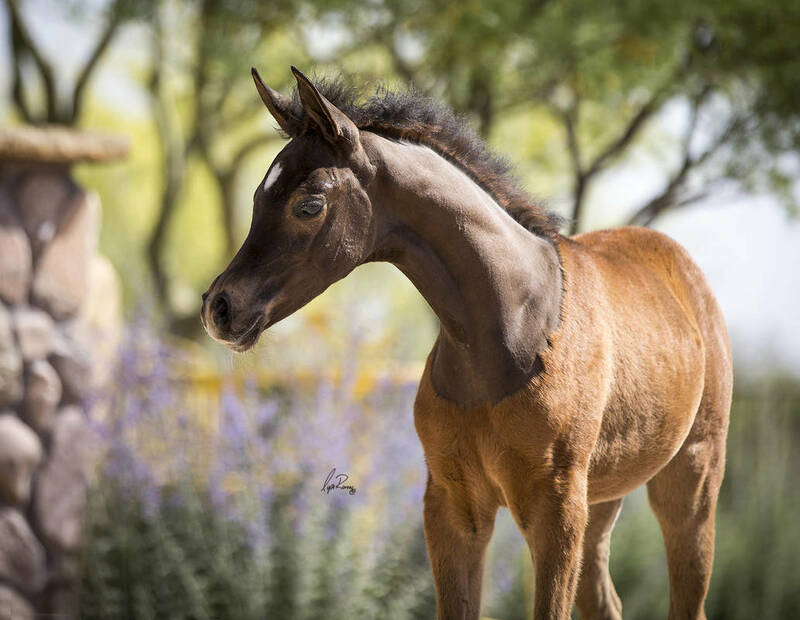 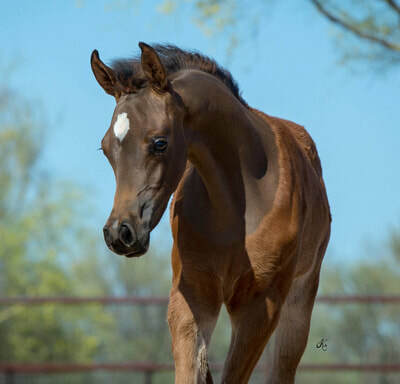 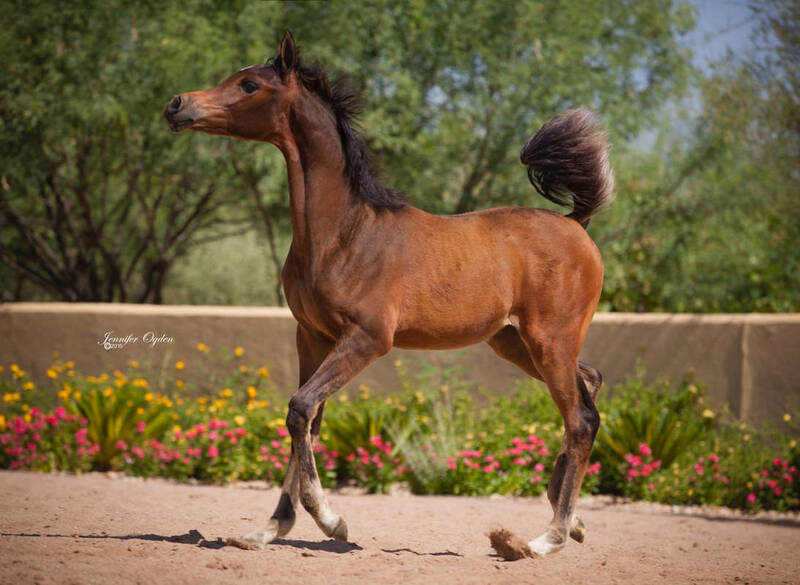 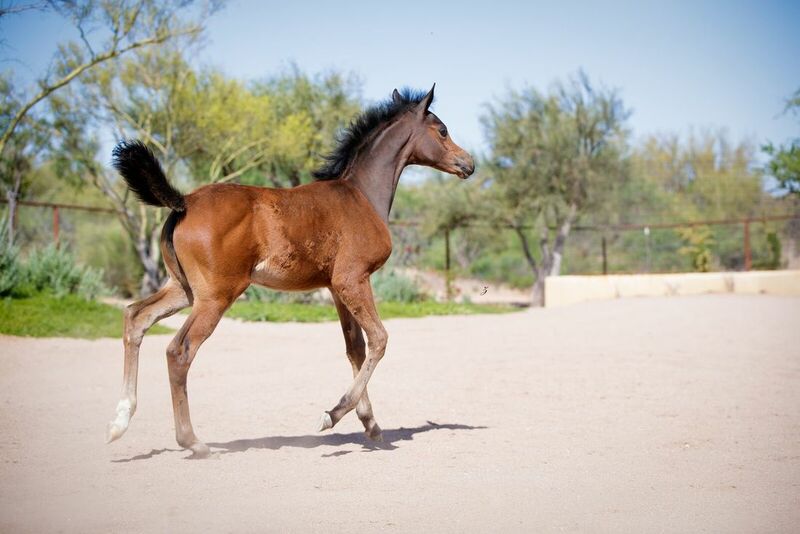 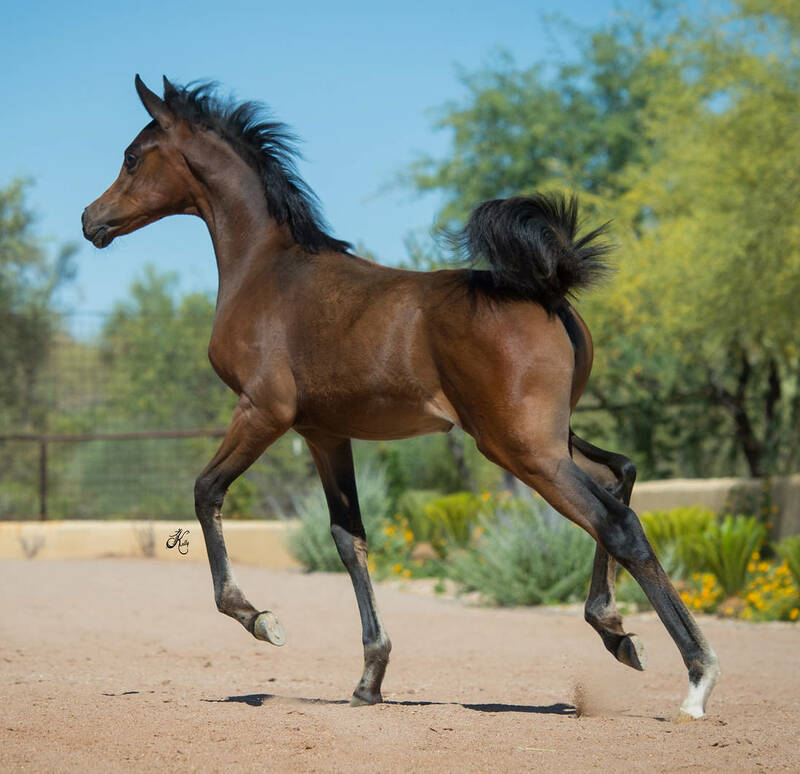 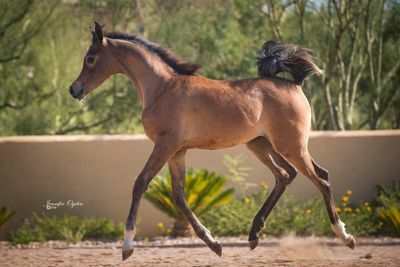 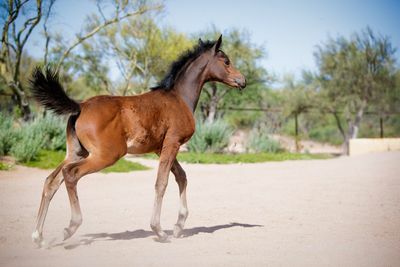 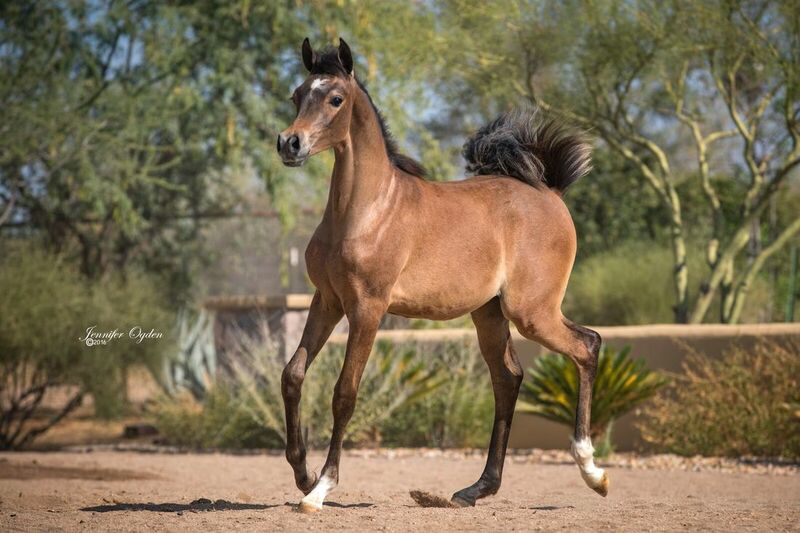 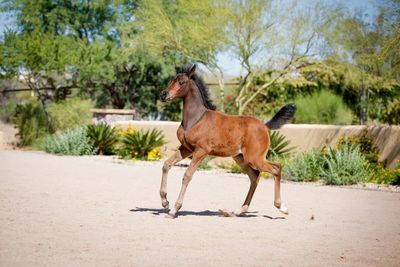 Elite AF has continued in the lineage producing outstanding, beautiful and upright foals. 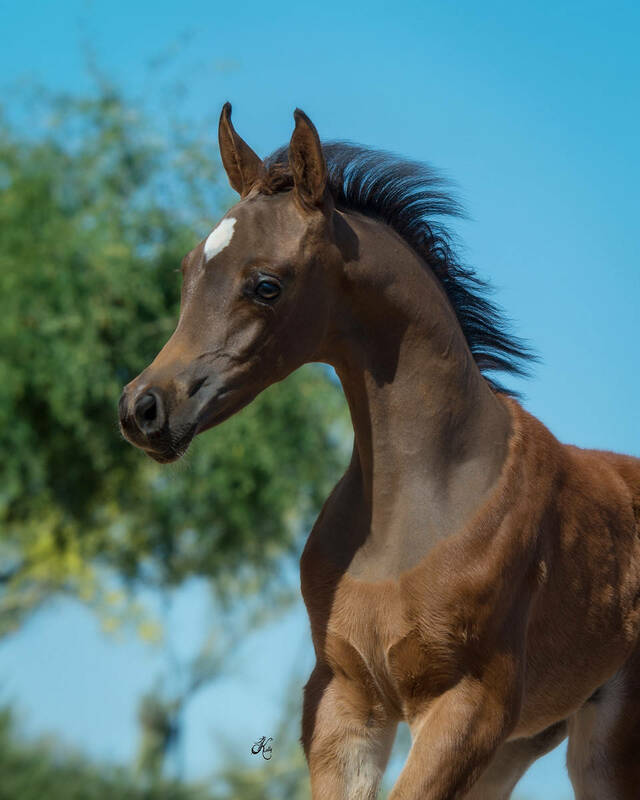 Then there is AJS Caspiana’s dam, TR Caviar, who not only combines the blood of Muscat with Om El Bandeiras but also infuses the blood of National Champion and producer of numerous National Champions, Fame VF. 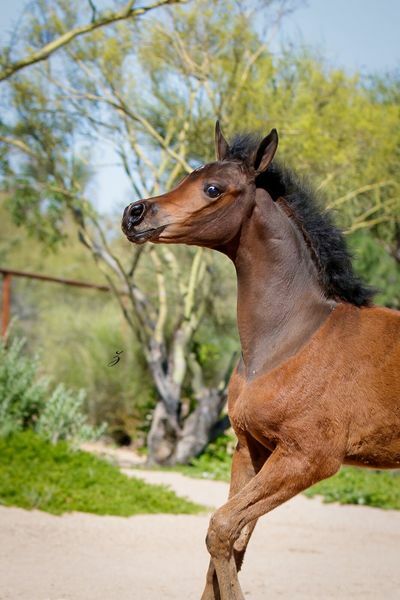 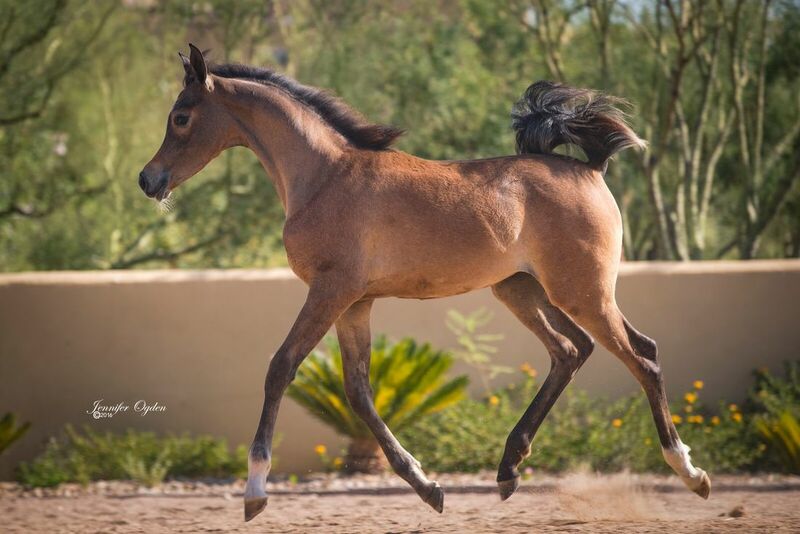 AJS Caspiana will surely be an amazing future show horse and breeding mare for an interested breeder. AJS Jiulianna provides a pedigree for the connoisseur. 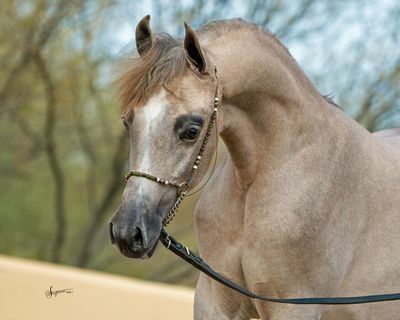 Her dam, Lee Anna Psy, is the dam of 2014 & 2016 u.S. National champion, Conquest BR (by Versace), while national champions such as Monogramm, Debowiec, Ali Jamaal, Jullye El Ludjin, El Shaklan, Padron, Padrons Psyche, and Bey Shah round out an over-achieving family that have contributed to AJS Jiulianna’s length of leg, length of neck, sound structure, show stopping attitude and breathtaking type. 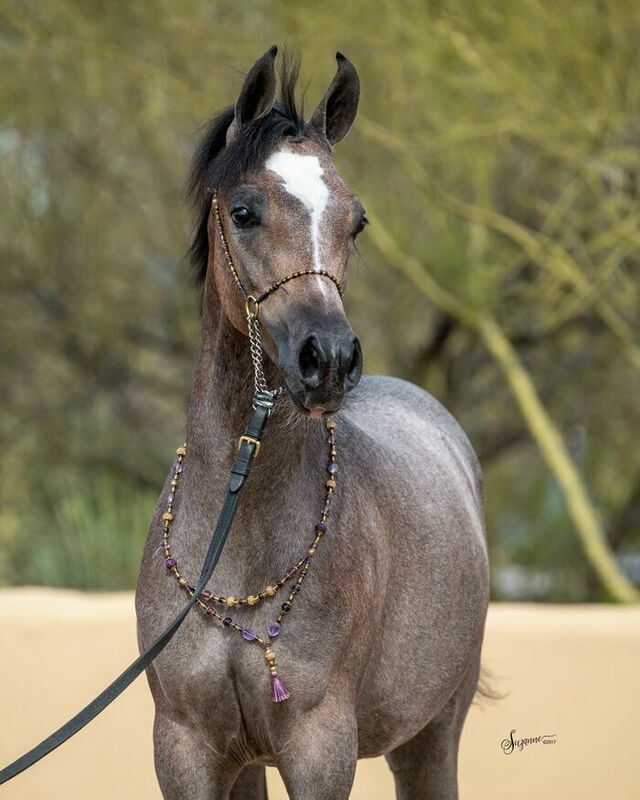 Put together. 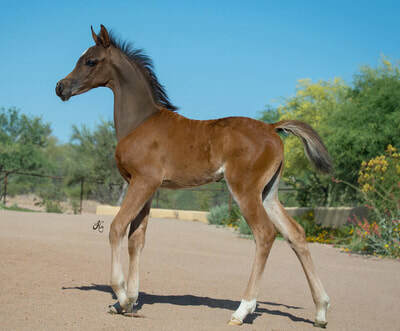 AJS Jiulianna is an extraordinary combination of conformation using the world’s very best bloodlines. At the behest of her Polish, Spanish and Egyptian pedigree, AJS Jiulietta is exquisite, epitomizing the charisma and allure of her fabled family. Her sire, Jiuliusz De Wiec, was bred by ‘Matser breeder’ Lenita Perroy of Haras Meia Lua, Brazil, is a son of Debowiec, himself a son of leading sire Monogramm and bred by Michalow State Stud, Poland and was named Brazilian National Champion stallion before his sale to Dubai Stud, UAE. Jiuliusz De Wiec, carries two lines to the US National Champion, Ali Jamaal and traces in tail-female line to the renowned, NV Justa Dream – founder of Haras Meia Lua’s “J family” and daughter of super sire and Reserve US National Champion, Bey Shah. 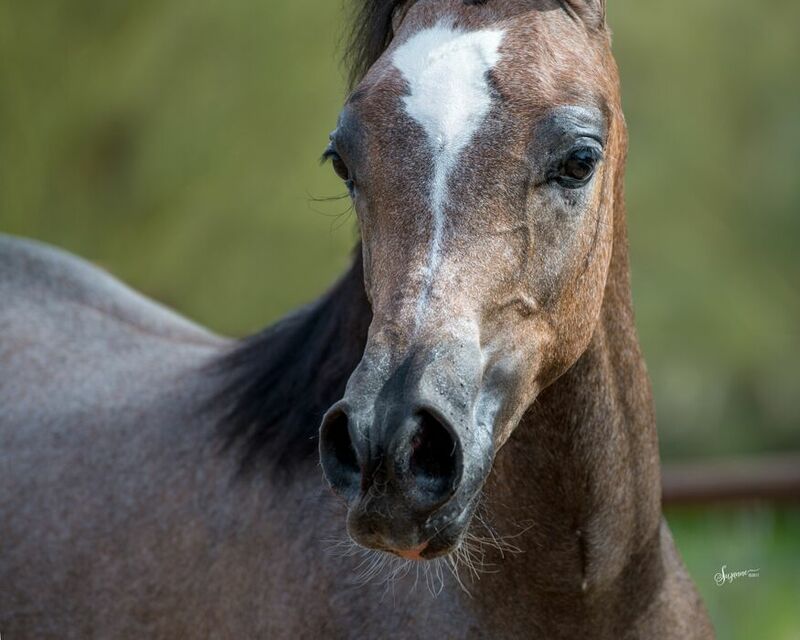 While AJS Jiulietta’s dam, Shervesta, is the maternal half sister of the mother of ‘The Champion Maker,’ WH Justice. 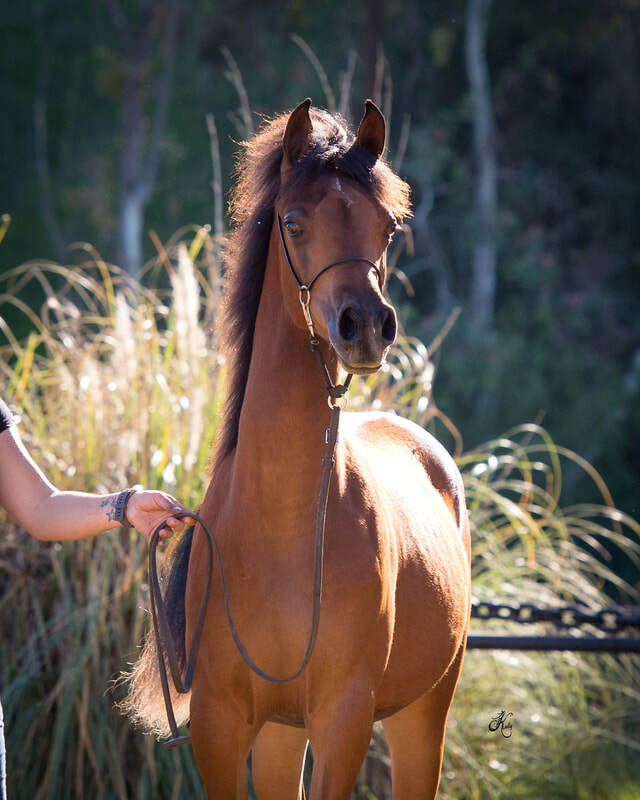 Now ready to face the most formidable of competition, AJS Jiulietta will make a grand entry before embarking on a breeding career and the production of a new generation of champions. AJS Lady Marmalade’s sire, Malik El Jamaal, is a magnificent stallion of rare breeding, blending an extraordinary family of the breed’s highest achieving breeding and show horses, including the world champions: Pinga, Gazal Al Shaqab, El Shaklan, Pilarka and Hezina; the U.S National Champions Ali Jamaal, Gazal Al Shaqab, Ruminaja Ali, Shaikh Al Badi, Kajora and the Egyptian Event Champion, Anaza El Farid. 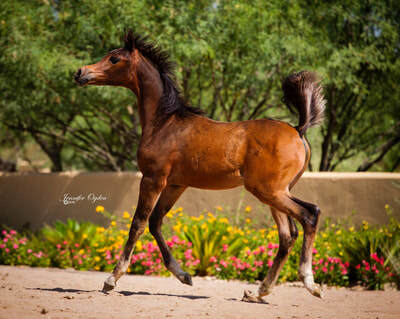 While AJS Lady Marmalade’s dam Desha Mar-Ci daughter of three-times world champion stallion Marwan Al Shaqab serves as a carbon-copy of her legendary sire, Desha Mar-Ci embodies everything; the look, the neck, the charisma, the quality of her esteemed heritage and perpetuates these all-important attributes to AJS Lady Marmalade. 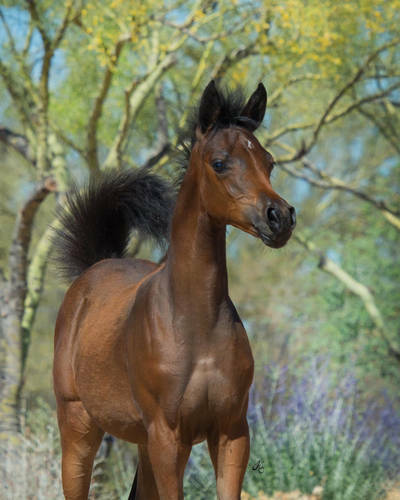 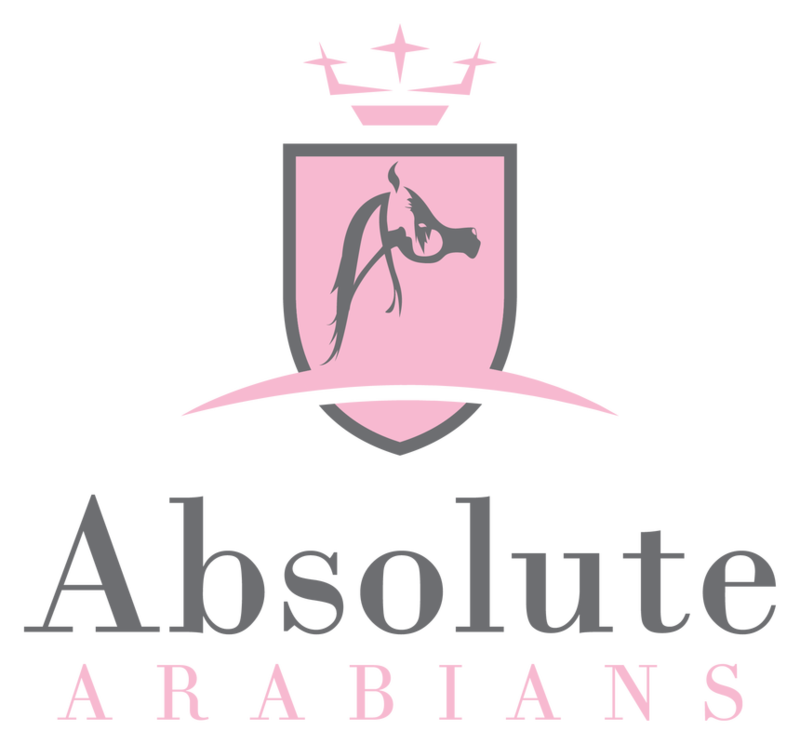 AJS Loulou El Malik's sire, Malik El Jamaal, is a magnificent stallion of rare breeding; blending an extraordinary family of the breed's highest achieving breeding and show horses. 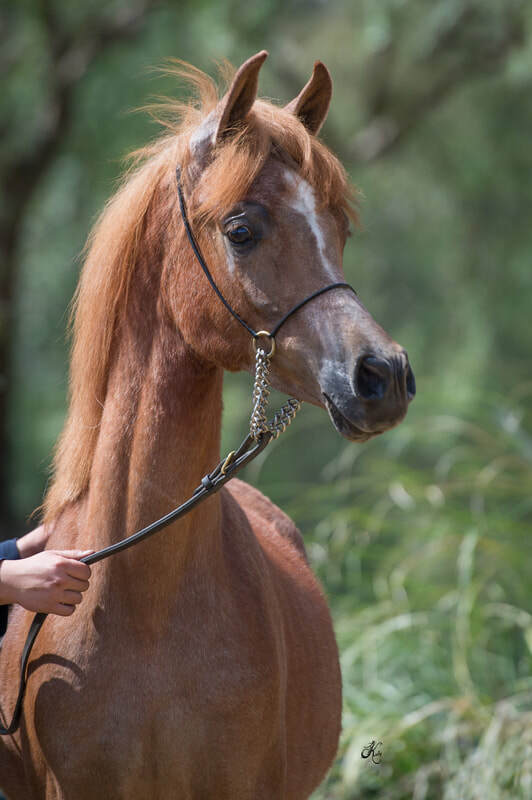 These include the World Champions: Pinga, Gazal Al Shaqab, El Shaklan, Pilarka and Hezina. 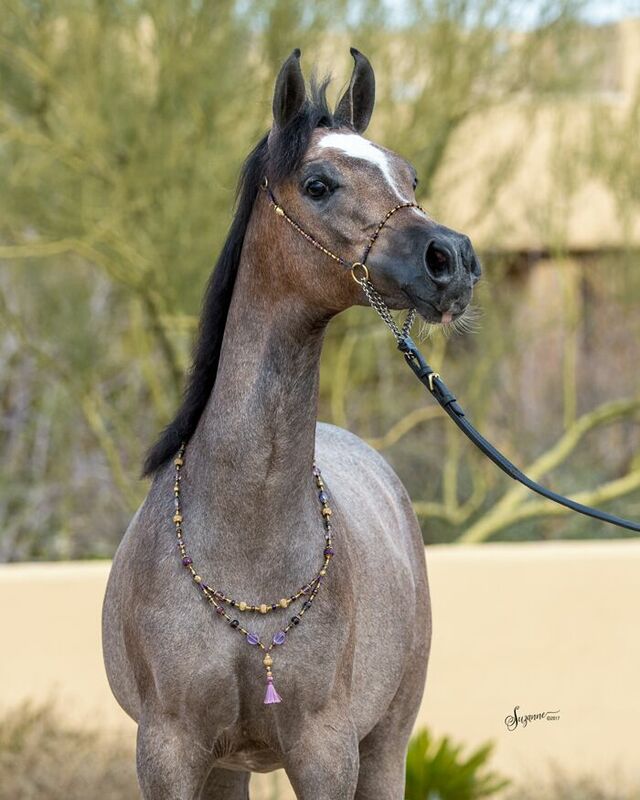 The US National Champions: Ali Jamaal, Gazal Al Shaqab, Ruminaja Ali, Shaikh Al Badi and Kajora. And the Egyptian Event Champion: Anaza El Farid. 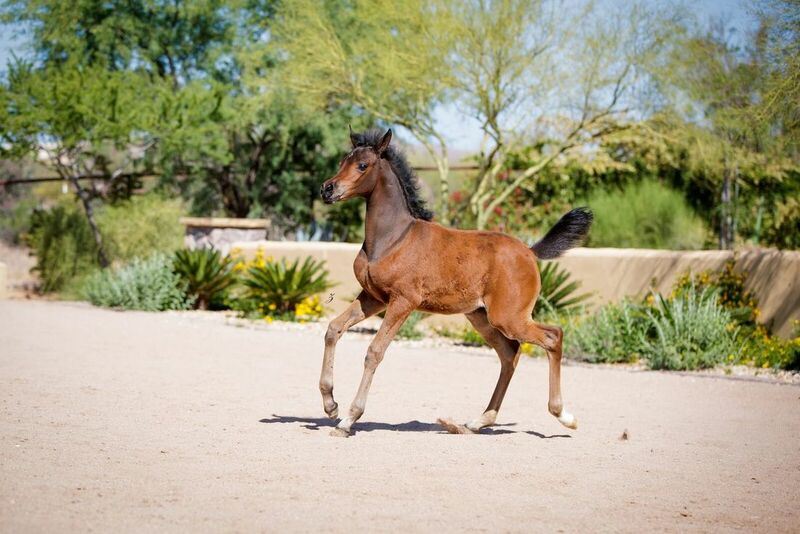 Characterised by a pedigree that depicts the equine world's most celebrated show horses and breeding families. 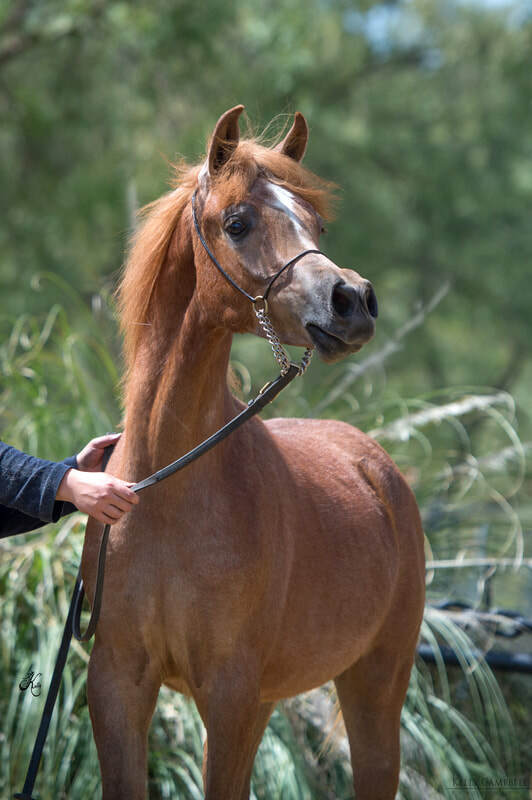 Layali El Malik represents a look, attitude and quality defined by the best of the best International Champions and champion producers. 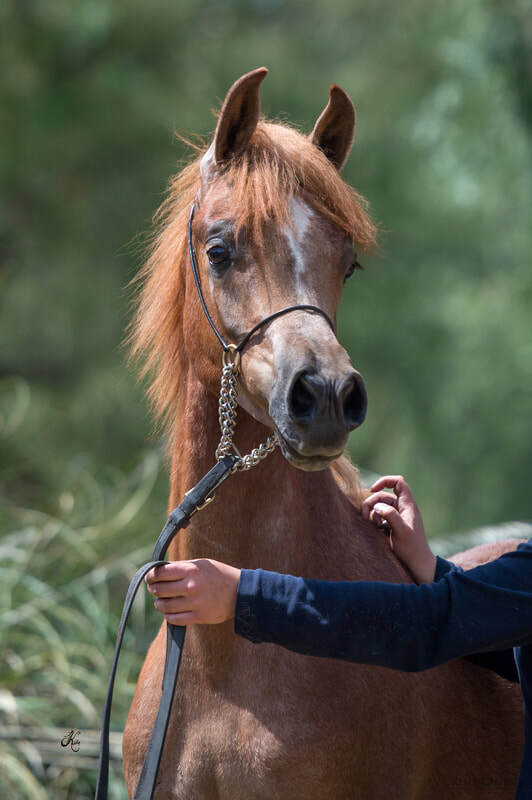 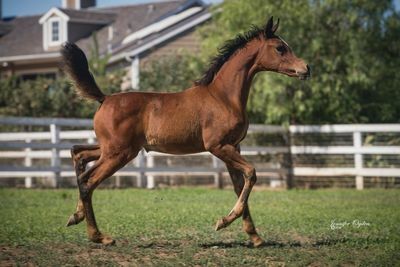 Embodying the type, conformation and quality of her star-studded pedigree, Marjaan El Malik is undoubtedly a promising show horse and feature breeding mare. 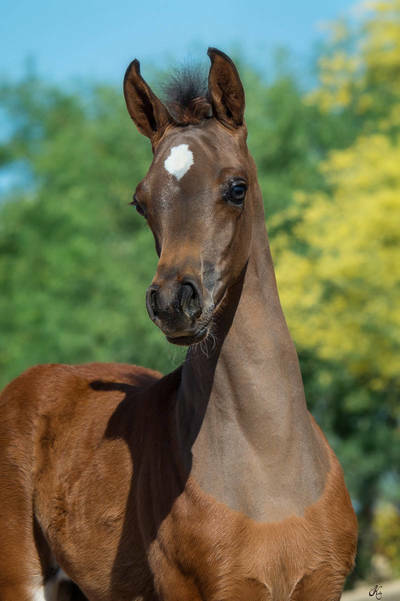 Beautifully epitomising every possibility a serious breeder and exhibitor could dream of. Makhsous, PVA Kariim and Anaza El Farid – Straight Egyptian stallions of the highest honor and immeasurable value and each, along with their revered forefathers, can be found in the immediate generations of Samar Al Jood’s impeccable pedigree. 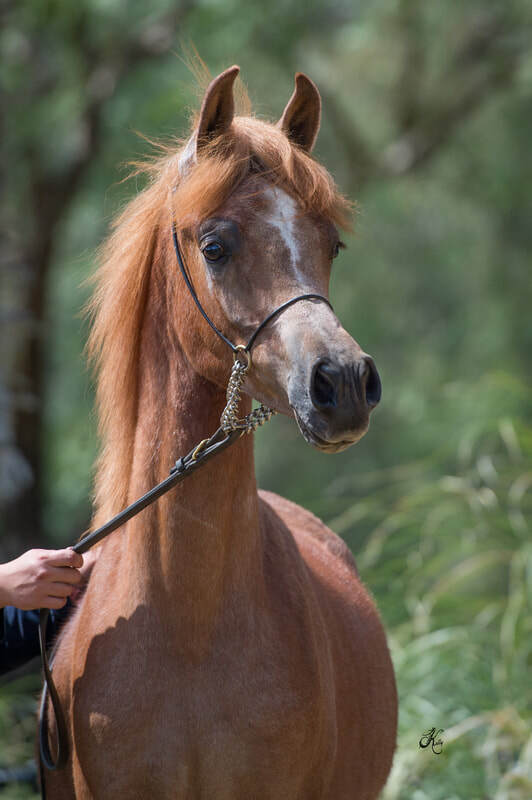 Samar Al Jood’s pedigree is old and pristine, an important blend and a valuable resource for modern Straight Egyptian breeding. 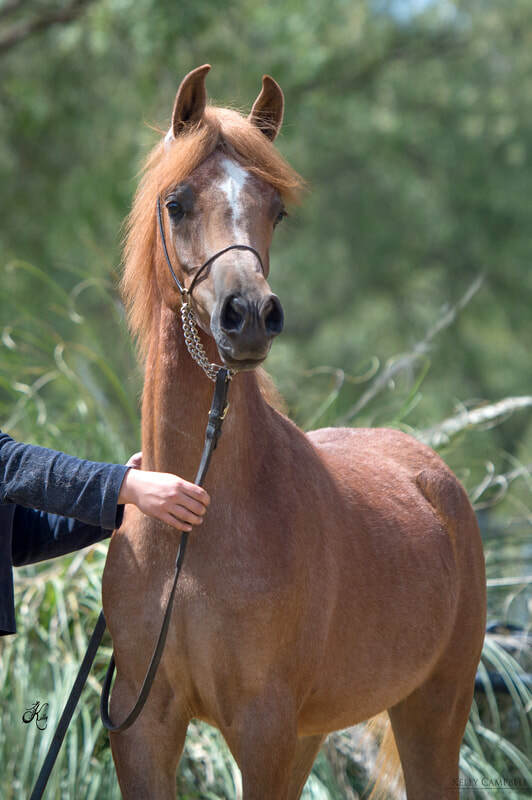 As such, Samar Al Jood holds the key to invigorate any Straight Egyptian breeding program and with her expressive pressence, athletic ability, sound conformation and deep bay color, Samar Al Jood represents a unique opportunity to transmit and incorporate her invaluable attributes and take a modern place beside her much appreciated ancestors.